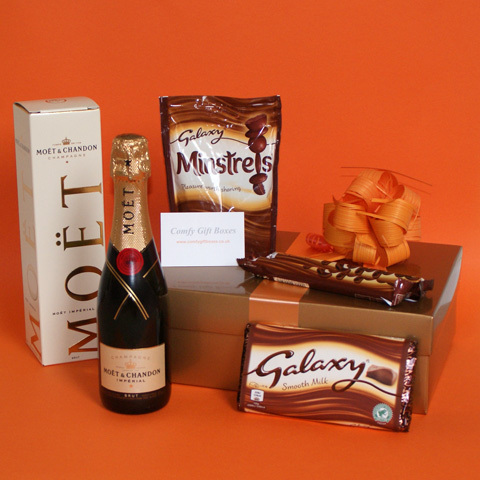 This champagne and chocolate gift is presented in a large gold gift box with a matching gold lid, it is lined with orange tissue paper before the contents are carefully added then the gift box is wrapped with orange ribbon and finished with an orange bow. 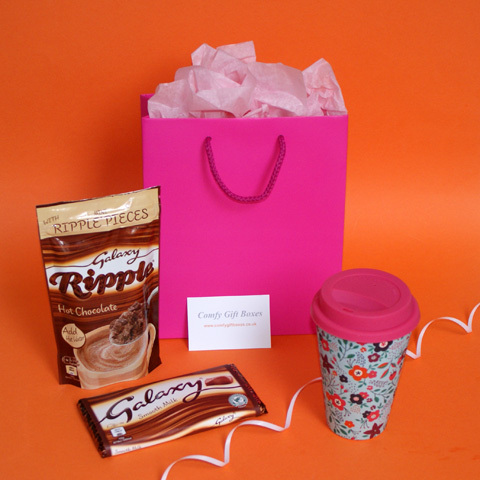 All Comfy Gift Boxes are carefully gift wrapped for you and include a gift card personalised with your own message. They are then securely packaged ready for delivery. 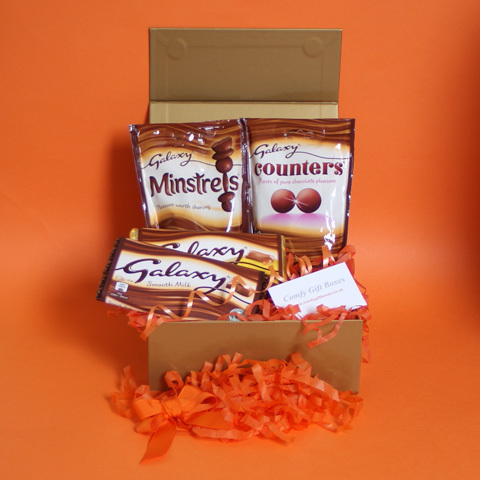 If you are looking for another chocolate Champagne gift try our Möet Champagne & Maltesers® Chocolate Gift Box, we also offer a range of pamper gifts with Galaxy® smooth milk chocolate. 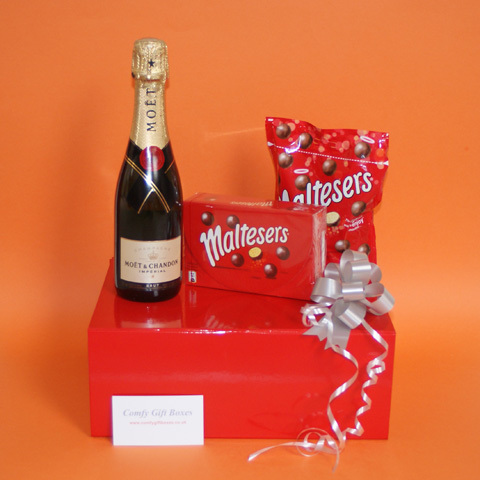 Presented in a large gloss red gift box with bright red lining, magnetic lid, red ribbon and a silver bow. 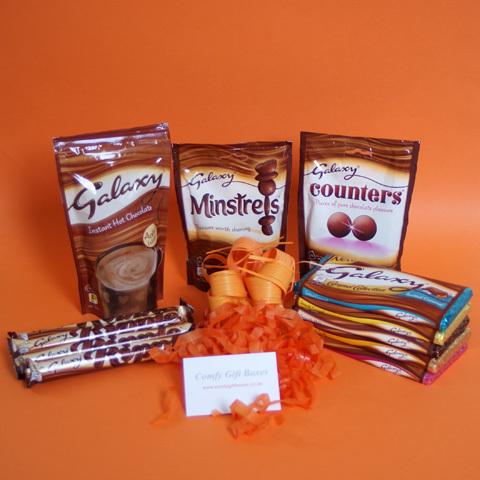 Presented in a gold gift box with lid, orange ribbon and a matching orange bow. 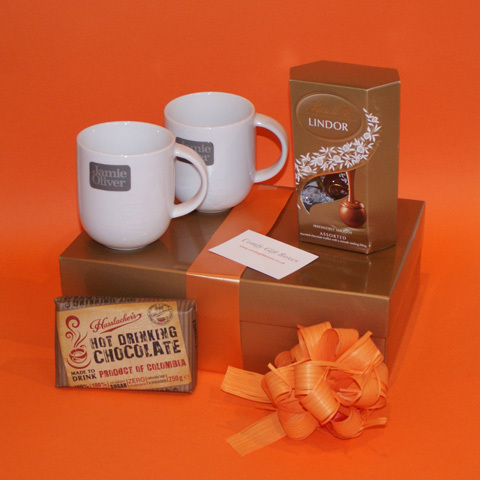 Presented in a large gold gift box with matching lid, orange ribbon and an orange bow. Presented in a bright pink gift box with magnetic lid, pink ribbon and a pink spotted bow. 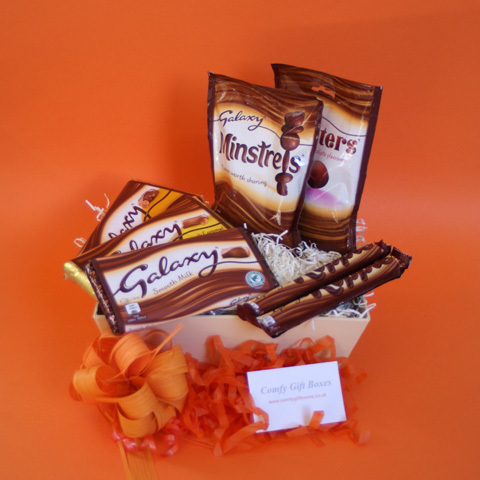 Presented in an irovy hamper gift tray, orange ribbon and a hand tied bow. 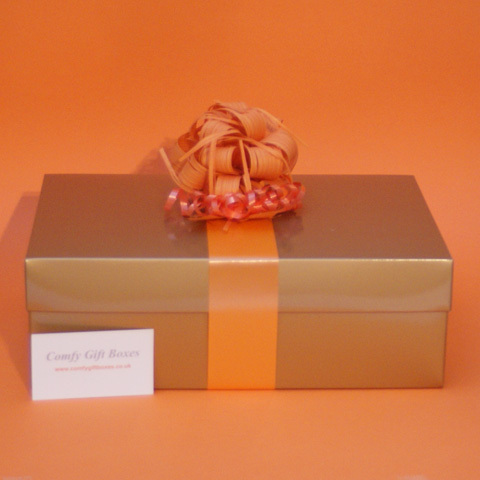 Presented in a small gold gift box with magnetic lid, orange ribbon and a hand tied double bow. Presented in a bright pink gift bag with matching rope handles and pink tissue paper. Images may not be copied, redistributed, reproduced or published in any form or by any means without prior written permission from Comfy Gift Boxes.